abundance in the New Year. of hunger as it used to be. Write a poem of your own, based on Kelly’s images or choose a line from Maureen’s poem as a starting place. Post on your blog and link to us (we love that), or just drop your poems here in the comment box. Photos by Kelly Sauer. Used with permission. Poem by Maureen E. Doallas, author, Neruda’s Memoirs: Poems. 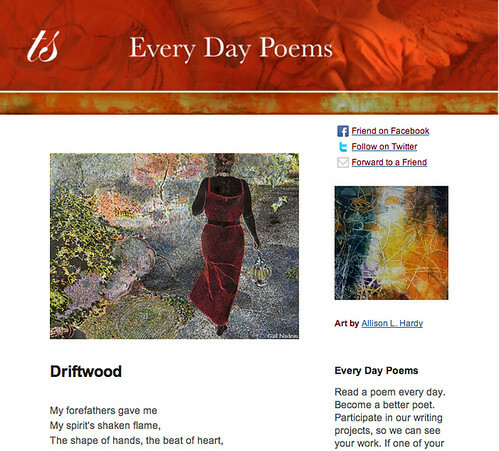 Thank you, Kelly, for the inspiration and TSP for sharing my poem. I meant to add that I learned a lot about pomegranates (I wanted to know about the fruit and did a little research before writing the poem). It turns out pomegranates have a rich cultural, historical, literary, and religious significance, aspects of which I’ve tried to relate in my poem. The significance comes through so strongly Maureen! The poem is very powerful – as I read it it felt like a prayer. Really appreciate your generous words, Donna. Kelly’s photography always inspires me. I like this… “promises of prosperity,” while talking of a pomegranate. Very very nice. Thank you, Seth. One of the things I learned about pomegranates is that, according to Greek usage, they symbolize abundance, good luck, prosperity, and fertility. Crimson stains left behind – on fingertips and flavored lips – her artwork, always signed. I like that unexpected last line, Donna. seed drippings from my lips, so beautiful. How did you make your way to me? and through the Black Sea. The ancestors gave grandly when granting thee, the glorious Punicia Granatum. Tanesha, I like your use of seeds as jewels and the sense of place and looking back you capture in your poem. I loved the prompt, thank you for having me. secretly blushing plum came out of slumber. a rippling light serpented between the red amber and its armor. The crowned plum traped its berries under. In a taste of majestic pleasure and splender. Like the explosions of sounds out of that silence, Nadia; quite a fruit war. Thank you for participating in today’s prompt. Love the image and how pomegranate can be a physical manifestation of silence. Great! Thank you. it is my first attemp in poetry. I’m used to writing novels and incorporation some ryming in it. There are daily prompts posted on FaceBook. Do join us there! Kelly’s among my most favorite photographers. I like your sense of a physical silence! I am so inspired by this I want to write..though I feel you have accomplished so much here I feel weak before I even begin. Maureen this is just perfection..so rich and powerful…layers and layers of richness. Just like the fruit. You inspire an attempt. Bravo!! Elizabeth, the wonderful thing about poetry is the infinite variation it inspires, even on the same subject. Mine is just one possibility. Thank you for such generous comments! I like the richness of colors (ruby, blood-like, crimson) that stand out against “white flesh”; also the use of active verbs and nouns (bitten, explosion, erupts, punctured, rushes, pierced), which keep the poem moving. The likening of seed to embolism produces an image hard to shake.